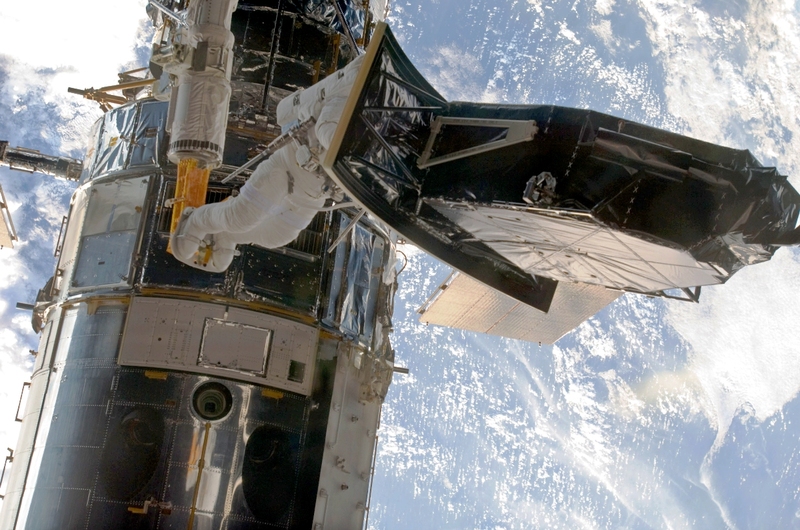 Engineers are working to bring the Hubble Space Telescope’s wide-angle camera back into operation after a hardware problem knocked it offline. In a status update, NASA said the problem cropped up on Jan. 8 and forced a suspension of operations for the Wide Field Camera 3. WFC3 was installed on the telescope nearly a decade ago during the space shuttle fleet’s final servicing mission. It’s designed to capture high-resolution images in visible, ultraviolet and near-infrared wavelengths. “Hubble will continue to perform science observations with its other three active instruments, while the Wide Field Camera 3 anomaly is investigated,” NASA said. Those instruments include the Advanced Camera for Surveys, the Cosmic Origins Spectrograph and the Space Telescope Imaging Spectrograph. This entry was posted in GeekWire and tagged Astronomy, Hubble Space Telescope, Space. Bookmark the permalink.